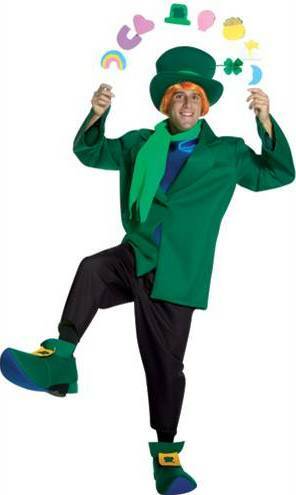 DRESS UP AS THE WORLD FAMOUS JOLLY GREEN GIANT FOR A TRADITIONAL HALLOWEEN FEAST! 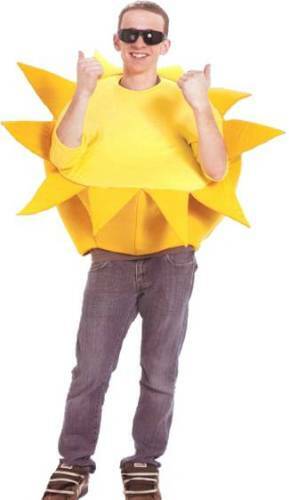 COSTUME INCLUDES CROWN, SHIRT, PANTS, LEAF TUNIC AND SHOE COVERS. ONE STANDARD SIZE FITS UP TO MEN'S SIZE LARGE. WE'LL TAKE THEM EGGS SUNNY SIDE UP PLEASE! 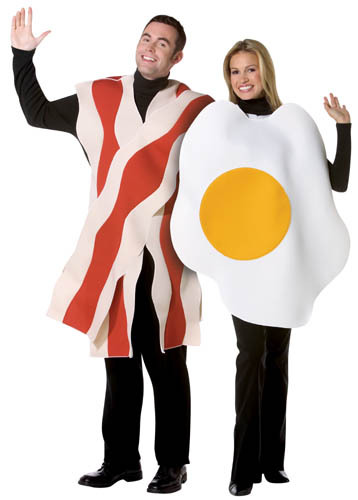 COUPLES COSTUME INCLUDES EGGS AND BACON BODYPIECE. AVAILABLE STANDARD SIZE ONLY. The Keebler elves are at it, making cookies in the tree. 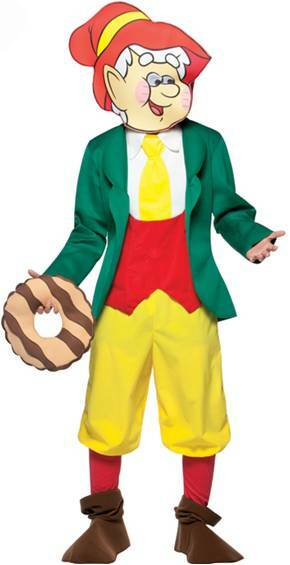 Dress up like Ernie with this costume that includes the shirt, jacket, pants, headpiece and shoe covers. Sid and Marty Croft's Saturday Morning Cartoon. 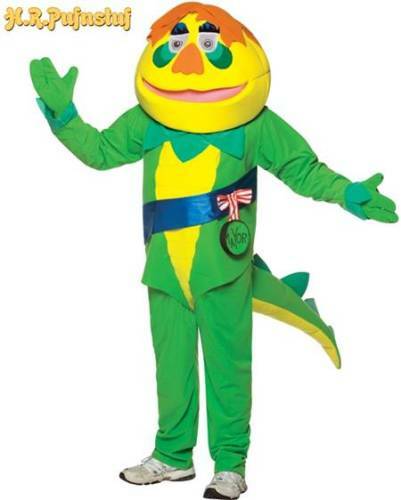 Relive your childhood with this costume that includes shirt with tail, pants, gloves and headpiece. 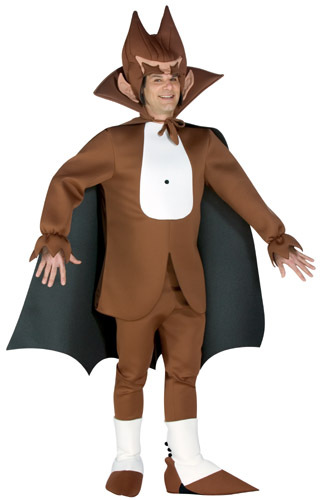 COUNT CHOCULA COSTUME INCLUDES HEADPIECE, JACKET, CAPE, PANTS AND SHOE COVERS. 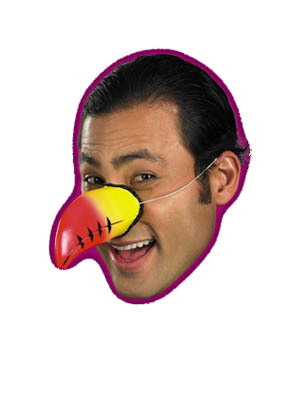 FUN PICK FOR COSTUME CONTESTS. It's magically delicious! Includes hat, jacket, pants, scarf, mock shirt, shoe covers and charms. Includes jumper. 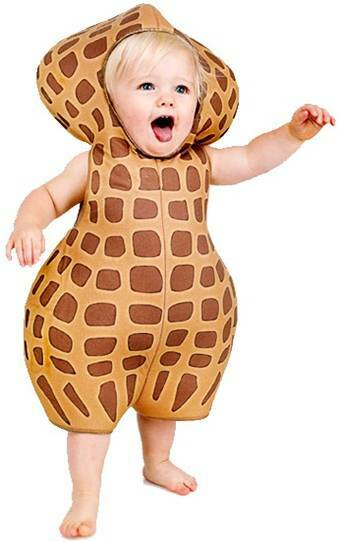 Fits child size 12-18Months. 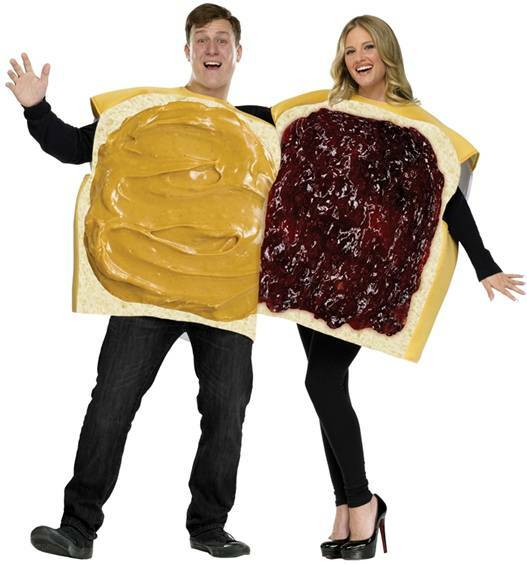 Great couples costume. Includes a tunic for two. 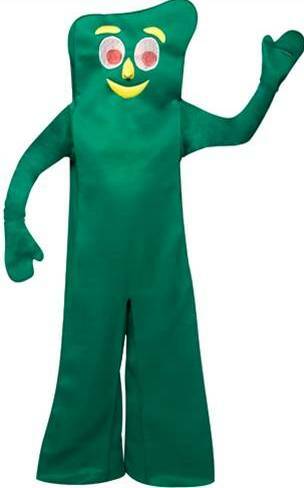 From the hit television show, Gumby, comes his sidekick, Pokey. 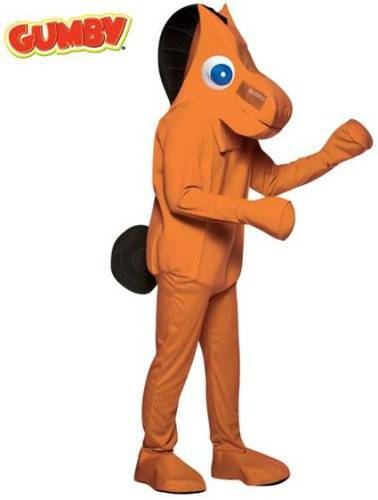 Includes suit and headpiece. SUPERSIZE IT! 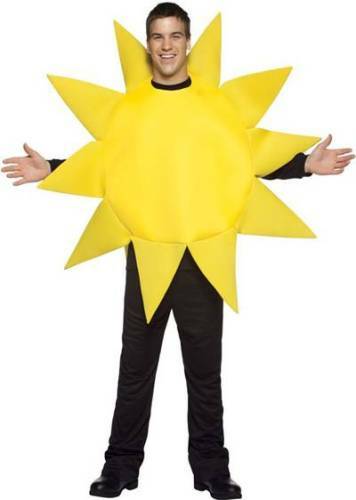 a COSTUME MANY CAN IDENTIFY WITH. 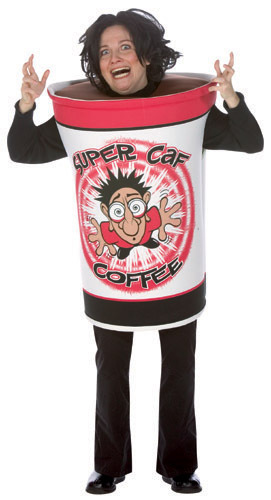 ONE SIZE COFFEE CUP BODY PIECE FITS AVERAGE ADULT. GREAT FOR OFFICE PARTIES OR JUST FOR FUN. Includes suit, headpiece, and shoe covers. All part of a balanced breakfast. 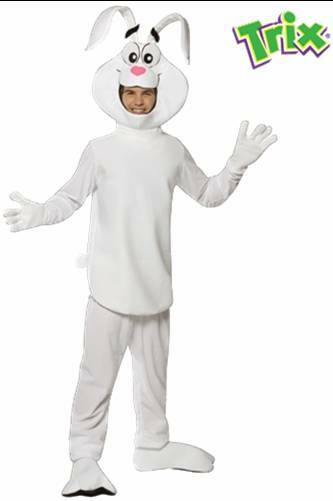 Silly rabbit, Trix are for kids! 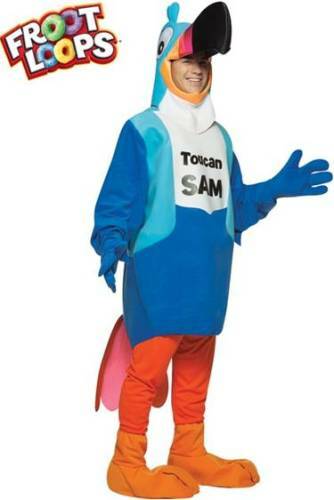 However, this costume is for adults. 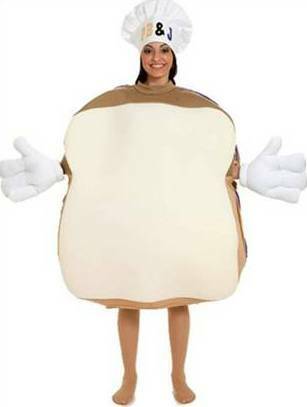 Dress up as the cereal favorite with this costume that includes shirt, pants, headpiece, gloves and shoe covers.